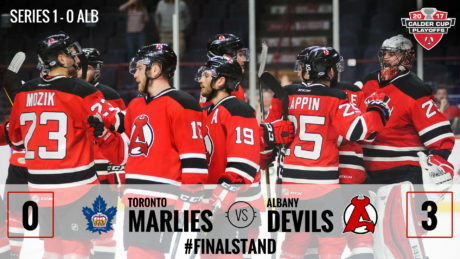 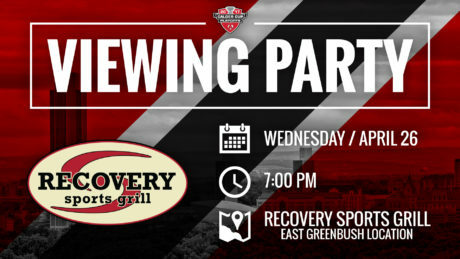 Wednesday April 26, when the Albany Devils face off with the Toronto Marlies for Game 3 of their first round matchup, the Recovery Sports Grill in East Greenbush will host a viewing party for fans. 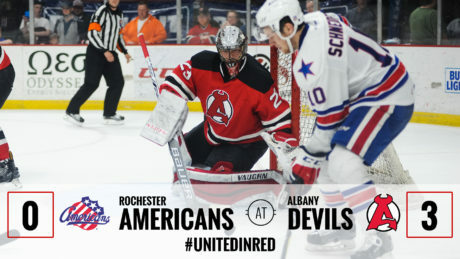 A small section will be reserved for Albany Devils fans. 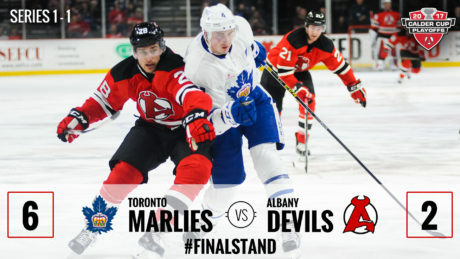 Additional seating will be available on a first-come, first-serve basis. 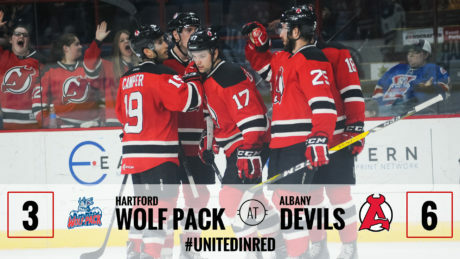 The Devils clinched a playoff spot when they defeated the Wolf Pack, 6-3, Wednesday. 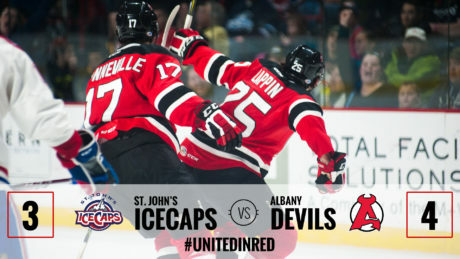 Nick Lappin scored the game-winning goal with one minute remaining to give the Devils a 4-3 win against the IceCaps. 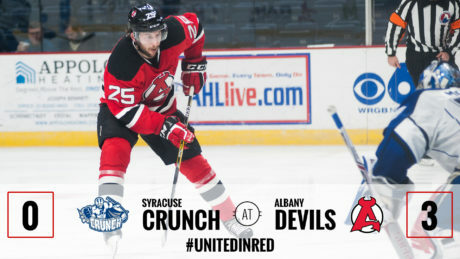 The Devils shutout the Crunch, 3-0, Wednesday to pick up two crucial points to push them closer to the playoffs. 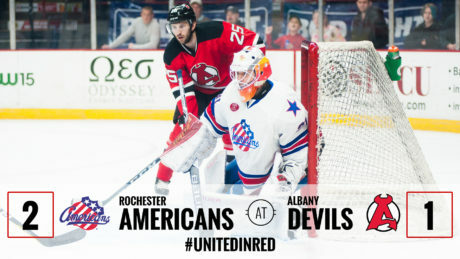 The Devils were defeated by the Americans 2-1 Sunday. 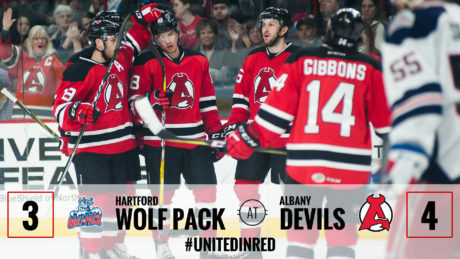 The Devils got back in the win column with a 4-3 victory over the Wolf Pack Saturday. 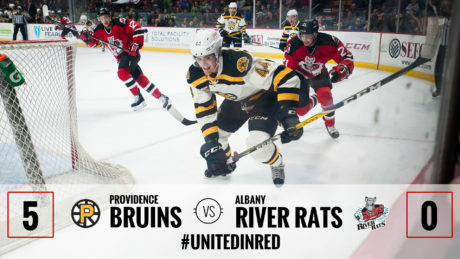 The River Rats were defeated by the Bruins 5-0 Saturday at Times Union Center. 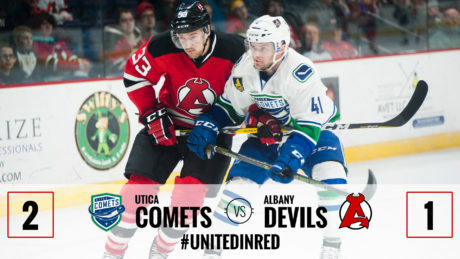 The Devils fell to the Comets 2-1 after a shootout in the last regular season matchup Friday. 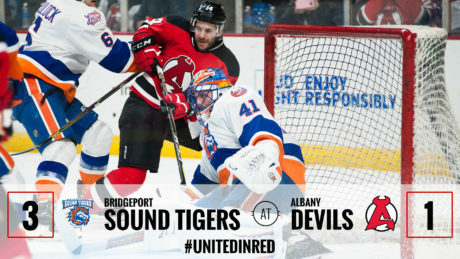 In their final meeting of the season, the Albany Devils fell to the Bridgeport Sound Tigers 3-1.